This kid can teach us all something, trust me. I was walking toward the Arena das Dunas in Natal, a beautiful beach town in Brazil, when a young boy approached my friend and I. He couldn’t have been more than thirteen or fourteen years old, but something about him immediately sparked our attention. He had a big, genuine smile. He made sharp eye contact. He didn’t wave his arms or start yelling “buy this, buy that”. He simply used his demeanor and non-verbal language to captivate his audience. “Where are you from?”, he said. “San Francisco, California”, we replied. Then began operation “guerrilla street sales”. First he began to explain what a lovely place San Francisco is, and how he’s always dreamed of seeing the Golden Gate bridge in person. “You should walk that way, the line much shorter and less wait.” He pointed toward the other side of the stadium. He still hadn’t tried to sell us anything. “Haha, no, we’re good.”, we said. “Are you drunk? You need be drunk for game!” He said, with that cheeky smile. We bought the water, and went for his bulk buy offer. The smile and charismatic demeanor just made it too hard to say no. “Done deal. Let’s do it.” A no brainer. This young Brazilian street hustler took us though an entire sales funnel. He was even prepared to offer downsells and upsells. He understood how to optimize his customer value from the start. 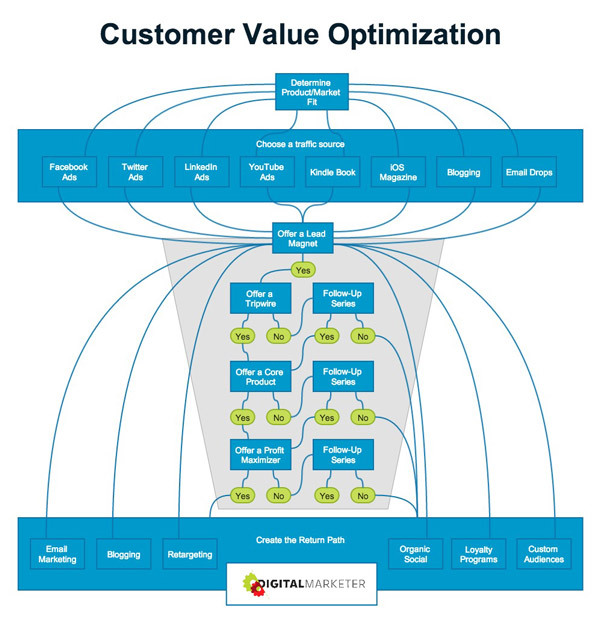 The Brazlian boy actually walked us through an entire Customer Value Optimization framework. He asked all the right questions, displayed a positive demeanor, built trust from the start by offering value, and made it easy to buy. He used the resources he already had access to. He got our attention using guerilla marketing tactics. He asked intelligent questions to understand his customer. He didn’t take no for an answer. He was prepared and ready to shift as needed. Throughout my travels I’ve encountered countless street vendors and young hustlers looking to make a buck. Most are just like the others, with very few distinguishable characteristics. But every once in a while a random person, like this young Brazilian boy, just gets it and stands out. I believe these tactics can and should be used in your business. I spent almost nine years in sales before I ever started my own business. I learned these tactics the hard way, after making many mistakes and hearing a lot of no’s. When beginning, start lean. Always use the tools and resources you already have. When your strategy isn’t working as well as you’d like, remove something before adding anything. Let’s say you’re having trouble getting traffic, converting a landing page, or just getting important tasks done. Rather than purchasing a shiny new tool or signing up for a new service, try simplifying first. Nine times out of ten simplifying your process is the answer. By adding and testing a new solution you’ll only complicate the process, add to your overhead, and cause more headaches. Start simple and use what you already have, like the street hustler. Every new solopreneur already has the knowledge and resources they need to get started. Where there are gaps, push yourself to grow by making tiny changes and gain the knowledge you need. Success leaves clues, find people who are already where you want to be. Once things start working and flowing, look for ways to scale. Don’t build a business that only supports your lifestyle. The secret is to build something that adds value to others. How do you scale? Keep overhead low, create processes (but keep them simple), and deliver more value than all your competitors. Soon, that young Brazilian street hustler may have a trained sales team working for him. This would be the most effective way to scale and grow his business. Embrace the inner street hustler in you and implement these techniques into your business today. What’s one thing you could do today to more effectively sell your products or services?